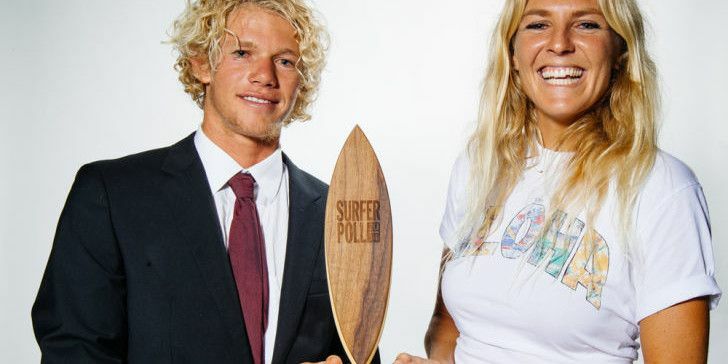 History was made at the 45th annual Surfer Poll Awards tonight with John Florence ousting long-time fan favorite Kelly Slater from the top of the Poll and six-time World Champion Stephanie Gilmore reclaiming her place at the top of the women’s Poll. On the North Shore of Oahu, the stage was set for an illustrious event gathering the best surfers, filmmakers, and surf legends under one roof to honor the best films and performances of the year. 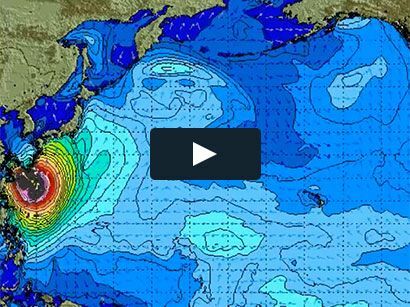 Florence’s Surfer Poll win marks his first, although he’s been threatening to take over for the past few years. Last year, in addition to taking second on the Poll, he claimed Best Performance and Movie of the Year and in 2012 he earned the prestigious A.I. Breakthrough Performer Award. His win this year puts an end to Kelly Slater’s 10-year reign, having won a total of 19 Polls since his first win back in 1993. Stephanie Gilmore reclaimed the top spot on the Women’s Poll for her fourth Surfer Poll victory. The women have played musical chairs for the last few years with all of the Top 5 names carrying over, just in a slightly different order. Sustainable Surf received the Agent of Change award and philanthropic donation from VIP table sales. See below for the rest of the 2014 Surfer Poll winners. Go to Surferpoll.com now to watch the full show, see galleries from the red carpet and behind the scenes, and watch clips from the best moments of the night.